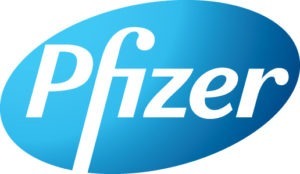 Many thanks to Pfizer for joining BioFIT 2018 as a Bronze Sponsor! Pfizer is a leading research-based biopharmaceutical company. They apply science and their global resources to deliver innovative therapies that extend and significantly improve lives. They make medicines and vaccines that help people when they are sick and prevent them from getting sick in the first place, as well as some of the world’s best-known consumer healthcare brands. Pfizer teams work in developed and emerging markets to treat, cure and eradicate life-threatening conditions and challenge some of the most feared diseases of our time. Pfizer also collaborates with healthcare providers, governments and local communities to support and expand access to reliable, affordable healthcare around the world.